With summertime approaching, more and more people are getting active and spending time in the great outdoors. If you’re the type who suffers from chronic pain, then you may not be one of them. Your summer plans are often put on hold, as are your fall and spring plans, and winter plans, too. It’s hard to get around without pain striking. In Harford County, Baltimore, a facility called Remedy Wellness has become well-known for its means of treating chronic pain. It’s called flotation therapy. Flotation therapy is a holistic means of treating pain. From the name alone, you’re probably visualizing exercising in a pool, right? It’s not quite that. Instead, you’ll go in a private pod. This pod is filled with Epsom salt (1,000 pounds) and water (up to 160 gallons). It’s soundproof and there’s little light inside. During your session, which often lasts 60 minutes, you’re supposed to lie down flat and just bob along in the water. Said water will be quite warm, a startling 93 degrees Fahrenheit. That means that no matter the season, flotation therapy will be comfy. Does It Really Work for Pain? Flotation therapy does indeed work for pain. Its effectiveness is in part due to the amount of Epsom salt in the pod. With sulfate and magnesium compounds, sore, achy joints, muscles, and tissue are soothed. Water has also been a trusted aide in alleviating chronic pain for years. After all, moving and exercising in the water generally puts less wear and tear on the body. 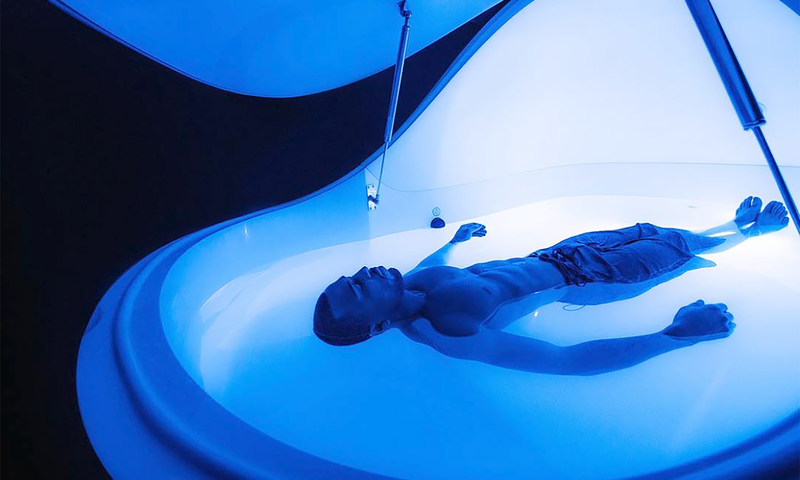 With flotation therapy, there is no exercise. You just lie back and enjoy. You can close your eyes and let your mind wander or even practice meditation. It’s up to you. Most participants who do flotation therapy also note the mental benefits, says the Baltimore Sun. One patient the newspaper chronicled has fibromyalgia and long-term nagging injuries from athletics. She’d tried prescription medication, massages, chiropractic treatment, and physical therapy, but none of these treatments really put a dent in her pain. Once she tried flotation therapy, she said she had less pain that same day. What If You’re Not in Baltimore? Besides Remedy Wellness in Baltimore, there are plenty of other facilities that offer this unique form of therapy across the country. If you’re interested, search for a flotation therapy facility near you!